The Toronto Blue Jays' World Series dream is over for this year but wow, what an incredible season. I've never been a fan of baseball but it was tough not to join in on the craze and jump on the bandwagon. In fact, I was so "bandwagoned" I actually went to two Jays games at the Rogers Centre last month. Ah, how I surprise myself sometimes! But then again this was the Jays' first trip to the playoffs since 1993, a whopping 22 years ago...so yeah how can anyone not cheer them on?! Anyway, what's done is done and all we can do now is wait for spring training. So, shall we now switch our attention to basketball? ;) The Toronto Raptors open the regular season tomorrow night at the Air Canada Centre ("ACC") against the Indiana Pacers and I have to admit I'm pretty stoked that the NBA season is starting. I've always loved watching the fast-paced high-scoring game and every year I look forward to catching some of the action at the ACC - that is, if I can score some cheap seats. 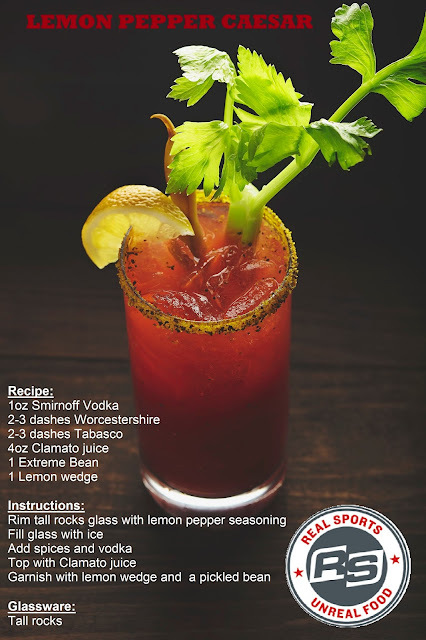 But if that doesn't work out I know the next best thing would be catching the games at Real Sports Bar & Grill! Oh and if you're a Leafs and/or a Toronto FC fan then all this applies to you as well obviously (sorry for my lack of enthusiasm there but I'm just not a really into hockey or soccer). Voted as the #1 sports bar in North America by ESPN, Real Sports (Twitter: @RealSports, Facebook: Real Sports) located beside the ACC broadcasts every sport played on the pitch, court or ice on 39-foot HD big screens and 199 HD TVs (you may think having all those screens is ridiculous but when two or more games are happening at the exact same time you're gonna think otherwise!) The 25,000 square foot space also offers five private dining rooms for business meetings and private events. 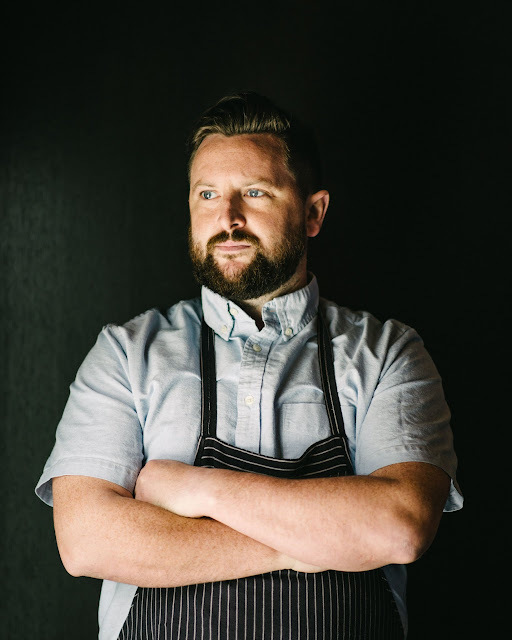 Executive Chef Matthew Sullivan of Real Sports recently launched a new menu which offers a twist on traditional sports bar classics by incorporating fresh, seasonal and locally sourced ingredients where possible. Sullivan, who joined Real Sports a little more than a year ago, has since reduced the menu from 121 items down to 85, and only four of those 85 dishes remained the same from day one (click here for last year's new menu tasting at Real Sports). This is a positive change in that a smaller menu enables the kitchen to focus more on quality and consistency. I was invited by Real Sports to a lunch tasting last month that featured several of Sullivan's signature dishes from the new menu. We started off with a delicious Lemon Pepper Caesar, the most popular cocktail at Real Sports (they sold 300,000+ Caesars last year). The lemon pepper rim gives a unique acidic and spicy tang to the classic cocktail. I like it! Not into Caesars or cocktails? Sports fans at Real Sports can also choose from a selection of 36 beers from over 126 draught taps and an extensive wine list with over 14 wines by the glass. The cheese blend, sourced from cheese boutique, contains equal parts fresh sheep's milk ricotta, mascarpone and stracciatella. The cheeses are mixed with a cold pressed olive oil and topped with a spinach and herb pesto, blistered tomatoes and onions cooked in Tabasco sauce. Served with hot toasted focaccia, this spinach ricotta dip was one of my favourite dishes on the new menu. Fresh popcorn from the ACC is ground up and used as a coating for the buttermilk soaked chicken. The chicken is then fried and tossed with whole popcorn, sriracha, honey and sherry vinegar. Using actual popcorn as coating for the chicken is next level popcorn chicken! Served with pickled vegetables, iceberg lettuce and hoisin marinated grilled chicken, this rice noodle salad is really appetizing, and although I would want to crush this all by myself the salad is also great as a shared appetizer. The cauliflower is first soaked in buttermilk, garlic and hot sauce for three days, and then coated in fried chicken dredge and fried until crispy. Tossed in buffalo sauce and blue cheese, the cauliflower is served on coleslaw. These cauliflower florets, because of how they were prepared and cooked, were quite "meaty" and substantial. I almost forgot I was eating cauliflower. The only component that really stood out for me here is the ginger and scallion sauce. It was spot on 'cause it reminded me of a dish my Mom used to make at home: Steamed chicken and rice with ginger and scallion sauce. I loved that dish. The beef patty, made with 75% chuck and 25% brisket, is topped with poutine gravy, Quebec cheese curds, an onion ring, lettuce, tomato and onions. The burger bun is from Ace Bakery. This is how the #CDN Burger looks like stacked up (above is how it is served). I'm personally not a fan of complicated burgers so I'd rather have the onion ring separately, and the cheese curds and gravy in a poutine rather than in my burger. Ontario center cut pork chop served on bacon fried rice with a roasted pineapple and chili salsa then finished with a little blue cheese, fresh basil and radish. This is another favourite dish of mine from the new menu. I usually don't order pork chop when I'm out but the sweet and tangy pineapple salsa with the bacon fried rice really amps up the pork chop. I couldn't stop eating the rice. The Italian style meatballs are made with ground turkey, parmesan cheese, parsley, basil and chili. The spaghetti is served in a sauce of manchego cheese, lemon, parsley and chili. Again, personal preference comes into play but 1) I generally prefer thicker noodles, like pappardelle, 2) I've never really liked turkey because I find it dry, and 3) I prefer pastas with more sauce. So this dish, if you couldn't tell already, is not something I would order on my own. This had to be the most epic plate of nachos I've ever had in my life so far. This picture does not do it justice. This nacho mountain is not just for looks though because it actually tasted really really good with all those flavours working together. 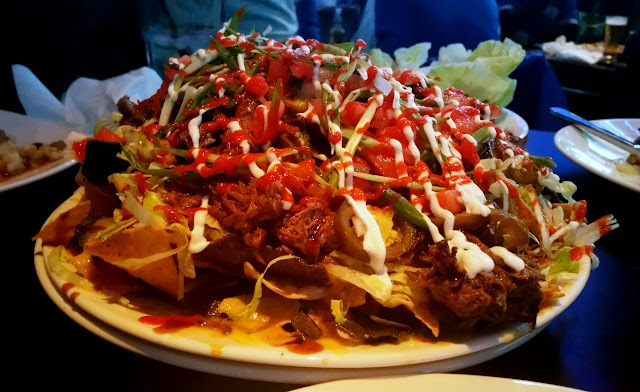 Don't order too much food if you're planning on having these nachos though. Actually, your best bet is to order the nachos first and see how you feel afterwards before ordering more food. 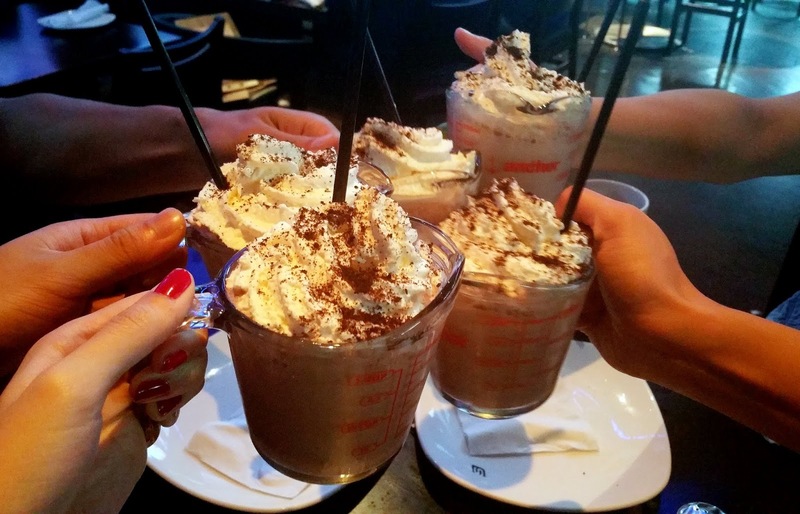 Cheers to tasty milkshakes! I love these shakes because they weren't overly thick nor sweet...they were just right for me. Hey, sorry but back to basketball. Did you know that Toronto will be hosting the NBA all-star game in February? The first one ever to be played outside of the US? Exciting times, friends!